So many yoga teachers dream about hosting retreats but it’s not all rainbows and butterflies. In fact, there are a lot of things to take care of, and a lot of things that can go sideways fast! A bad retreat can leave you broke and with a handful of angry students. If you’re thinking about hosting your own yoga retreat, you can avoid the mistakes by taking advantage of the lessons learned by a yoga teacher who’s hosted over 40 retreats. Whether you want to host a weekend retreat in your home town or you’re ideal getaway location is half way around the world, this workshop has everything you need to know to do it right. This blueprint channels the energy of the holy Hindu trinity of Brahma (the creator), Vishnu (the sustainer), and Shiva (the transformer) to ensure you know how to assess the success of a retreat idea (before you lose your deposit! ), how to market your offering and maintain the buzz, and how to create a memorable experience that will transform the lives of your students. And, we’ve got you covered with checklists and cheat sheets so the whole process is as easy as pie. 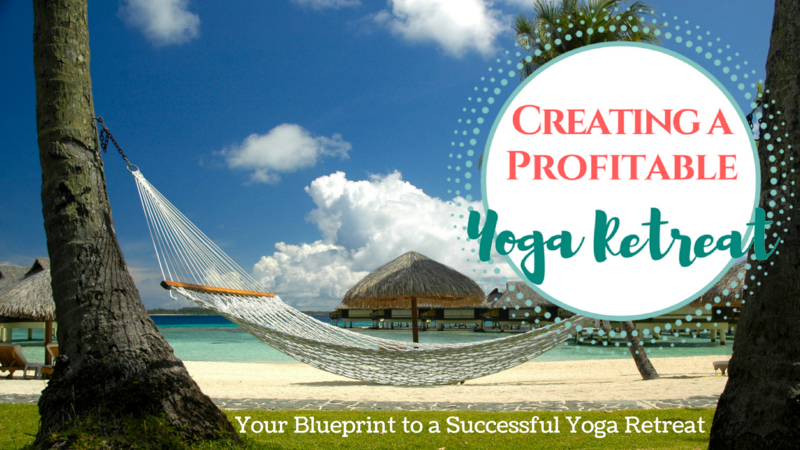 Creating Profitable Yoga Retreats is a 3-part workshop that covers every aspect of planning and leading a successful retreat. We start with research, planning and set up. Then we explain how to effectively market your retreat. And finally, we reveal the steps to running a smooth and inspired retreat that your guests will love (and you’ll love hosting). Get access to all workshops, business programs and practices with a YTP Yoga Business Academy Membership. Brahma is the Hindu God of creation and we start here with the right way to create a yoga retreat from the seed of an idea. In this section of the workshop you’ll learn how to set up and organize your retreat. We have also included a Retreat Price Calculator (so you can figure out what to charge) and sample registration forms. Vishnu the is the Hindu God of Sustenance and that’s what this section of the workshop is all about – filling your retreat with goodness and good people. This section is where you’ll find great marketing ideas, sample ads and even some sample social media posts. Shiva, the Hindu God of Transformation guides us through this section which is focused on providing a spectacular experience for your retreat guests (by being super prepared). We’re including a sample itinerary and an example of one of my logistic packages (which will greatly enhance your guests’ experience).